Why Get Paid In Crypto? There is little evidence provided on what percentage of people own cryptocurrencies, however, a joint survey by Global Blockchain Business and Survey Monkey polling 5,761 adults in America placed the figure at just 5%. Since Bitcoins all-time high of $19,784, its price has plummeted roughly 70% before stabilising just above the $6000 mark. Despite the wild volatility the cryptocurrency market experiences, workers around the globe are still seeking payments in the form of digital currencies. In fact, the majority of workers doubling down as crypto investors are unhappy their employers don’t offer a crypto payment option. The ChronoBank survey also found a massive 80% of respondents would like their bonuses paid in crypto. Volatility is one problem, but another major concern with receiving a salary in Bitcoin is the lack of use cases for daily living. How can you survive off Bitcoin if just 0.1% of businesses accept the digital currency as a form of payment? Plutus is a UK based start-up embracing salary payments in Bitcoin and other cryptocurrencies, the allotted amount varies depending on the fiat valuation of those coins at the time. 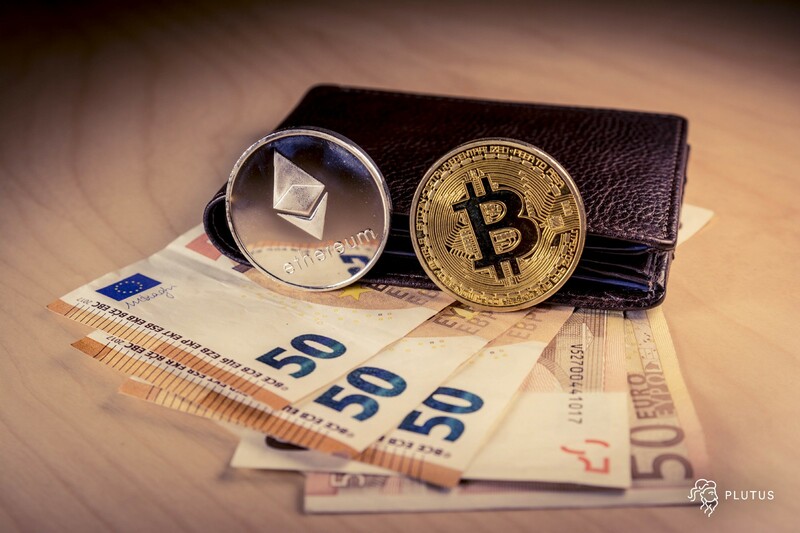 Staff also have the option of receiving their income in regular fiat currencies, however, the team are strong believers in the future of digital currencies and tend to opt for the latter. This initiative is led by our CEO and founder of Plutus, Danial Daychopan, who has preferred to only take his salary in Bitcoin since inception, he has encouraged many others in the company to do the same. The workforce is also offered the option of both payment setups, receiving bonuses in one currency and base salary in another. The reason we at Plutus are so willing to accept Bitcoin as a form of income is because our product is aimed at converting crypto for payments at over 42 million stores worldwide. If Bitcoin can finally be used exactly like ordinary money, why not get paid in it? Plutus is a combination of an exchange and a payments platform that will be overcoming the current lack of merchant adoption. Customers using the platform can top up their Plutus debit card or ‘Plutus Tap & Pay’ mobile app with Bitcoin, Ethereum or Plutons. The crypto will automatically be transferred to a trader looking to purchase those coins, and the trader’s fiat will be sent back to the customer who can then use this spendable fiat in-store. This is all seamlessly achieved using the companies very own decentralized peer-to-peer exchange known as PlutusDEX. Plutus is launching with a major payments provider and has partnered with an award-winning fintech bank, making for an incredibly secure and stable payments platform. What’s more, users get rewarded in crypto for using the service. Whilst an income in cryptocurrencies may not be for everyone, for those who have faith in the market's future it can be an enticing offer. With Bitcoins value being 25x higher than it was three years ago when Plutus began, history has proven crypto salary options to be a wise choice for hodlers. Now that an increasing number of startups are solving many of the concerns associated with digital currencies, we could see cryptocurrency salaries becoming increasingly popular in the years to come.